Loveland is a software and data company that specializes in mapping the world's property information at the parcel level. We have found this to be a unique niche in the mapping and data space that is valuable to a broad range of customers, and we have painstakingly assembled our own 137 million parcel dataset covering 95% of US residents. Over the last several years we have created a successful suite of products, a growing customer base and project portfolio, and a stable organization with twelve people currently on staff. We believe we have an opportunity to double or triple our revenue in 2019 with support from a General Manager. Visitors and customers currently surf our parcels for free at makeloveland.com and use our paid subscription tools at sitecontrol.us to map and survey properties. We also license our nationwide dataset to researchers and app developers at makeloveland.com/parcels, and directly help communities execute large-scale property surveys and door-to-door outreach efforts. You can see a brief 4-minute video of our CEO talking about some of our work, projects, and vision at the NY Times Cities for Tomorrow conference: https://www.youtube.com/watch?v=c9XA-YFXovU. 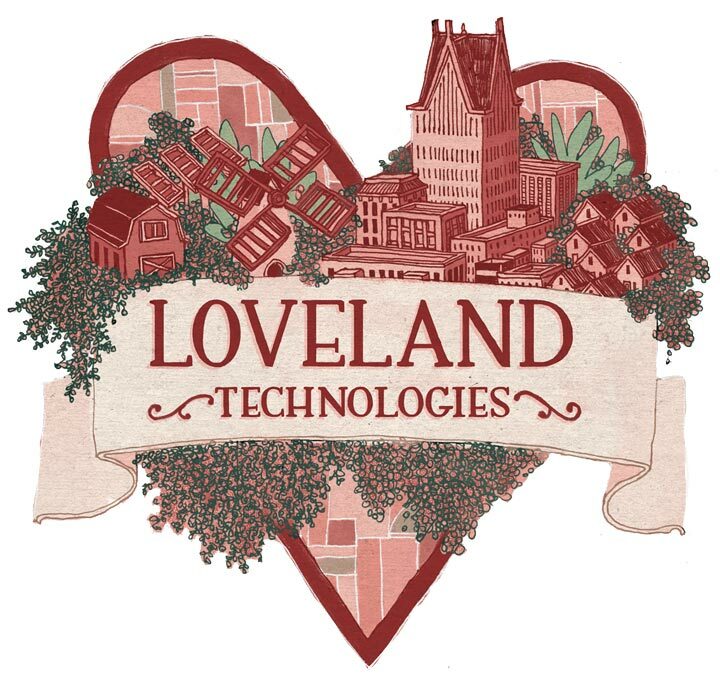 Loveland is currently rebranding and combining its websites, software as a service, and dataset into one unified offering called The Land Grid (soon to be at landgrid.com), which will be the core business within the LOVELAND Technologies portfolio, with additional services building on The Land Grid to follow. We have seen how the underlying land grid of property shapes, ownership, zoning, land use, architecture, nature, taxes, infrastructure, and other characteristics is an essential element of our world, our communities, and our economy that has not been adequately understood and used to make better decisions. The opportunity space is large. Our goal is to be the essential, affordable, user-friendly platform for gathering, showing, surfing, assessing, and working with parcel level data about properties, land use, and habitation, and to help others put the data to work in their own projects and businesses. Our headquarters are in Detroit with employees in Ann Arbor, the Bay Area, New York City, and Cleveland. As General Manager you will oversee, manage, and grow The Land Grid business. You will be responsible for managing the team of twelve, delegating tasks, and making sure we meet the goals of our product roadmap. You will also be responsible for tracking and increasing subscription sales by better meeting the needs of our customers. This is a leadership role and you will work closely with our CEO, COO, and CTO to grow the business, and we will share an Executive Assistant. You should have experience with and be passionate about software startups, leading teams, getting things done, and scaling companies. You should also have an appreciation for mapping and mapping interfaces, subscription services, data in general, and how better land use and location data can support better decision-making. You should be comfortable closing sales and making product decisions that increase sales. We are offering strong compensation, profit sharing, six weeks of vacation, and health insurance contributions. Ideally you are in the Detroit area, but we are comfortable with you being remote as long as you can regularly travel for executive and team meetings. If you think this opportunity is for you, please send your résumé to team@makeloveland.com with General Manager in the subject line. Thank you and see you on The Land Grid!